The S50 range, made by Vitra, truly does live up to the Vitra name as being one of the world leaders in bathroom design. 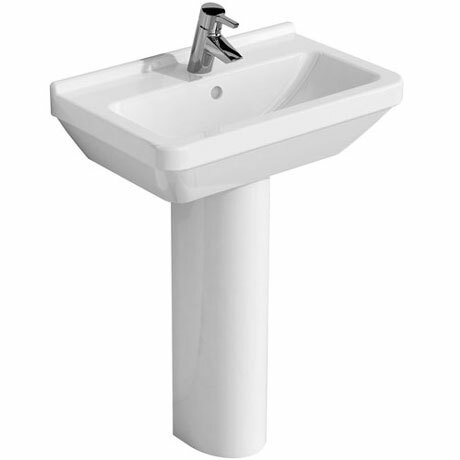 This 1 Tap Hole Compact Basin and Pedestal is ideal for cloakrooms and small bathrooms where space is at a premium with its short projection of only 370mm. Available in 2 sizes in either a full or half pedestal option.